Product Overview Enjoy low energy adaptive lighting with the Kasa smart lighting Bluetooth wireless LED light strip. 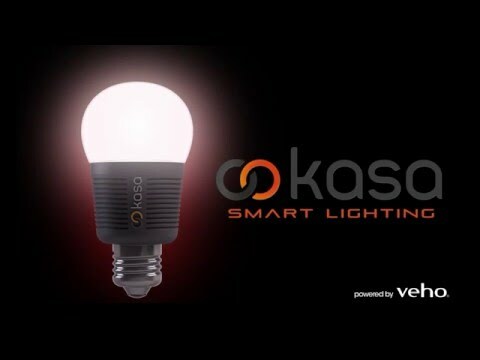 Automate your home lighting wirelessly through the Kasa App for iOS and Android devices. Please note: Currently not compatible with Amazon Echo / Echo Dot (Alexa). Features • Low energy cost efficient LED adaptive lighting with 15-year life expectancy. • Control up to 32 units automatically or by the touch of an iOS or Android smartphone or tablet. • Dimmable app controlled adaptive lighting with 16 million colours to choose from. • 24/7, 365-day app scheduling to automatically control your home lighting environment. • Kasa scheduling countdown feature allows you to automatically turn off lights at night time or when you are leaving the home. • Perfect for backlighting, down lighting, up lighting to create spectacular home or commercial interiors. • Kasa Bluetooth Smart Lighting LED Light strip – 3m (9.8ft). • UK, EU, US and AUS regional adapters.